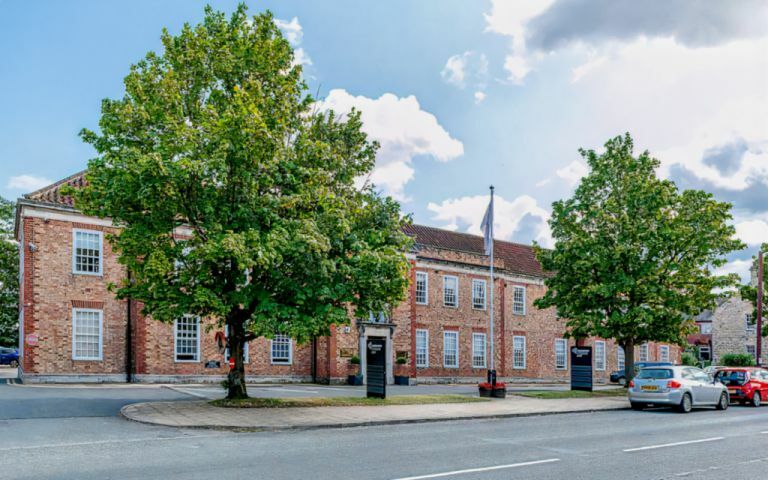 Originally home to the council chamber and offices, our Tadcaster serviced offices have been sympathetically and beautifully refurbished to provide modern office accommodation in a unique heritage setting. The floodlit, two-storey building retains its imposing entrance and double staircase with art deco features. Available for short term, long term, daily hire and conferences, Tadcaster Enterprise Park is already home to several companies, making it a ready-made business community in a highly accessible location. Tadcaster is right at the heart of Yorkshire's economic golden triangle of Leeds, Harrogate and York. Being only a few minutes drive from the A64 which connects Leeds, York and the East coast, it is a highly accessible location with direct links to the A1, M1 and M62. Tadcaster is a thriving market town with a wide range of amenities, from leisure centres to supermarkets, bringing the benefits of a city centre location without the traffic jams. The serviced offices in York are housed in a new building, benefiting from high quality, exec furniture, free parking, easy access from air, rail and road.